lets see what one of the most professional players of Counter Strike 1.6 think about it. The glock isn't a bad weapon as many people think. What you need to do is use it the right way. Use "normal-fire" on long / mid range and tap it with pauses in between, if you start spamming with the glocks normal-fire the bullets will just disappear into thin air. 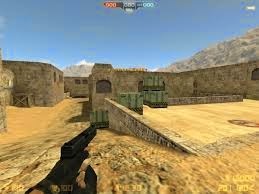 Burst-fire is obviously best used in close-range, but the biggest advantage of the glock is being able to really dodge the opponents bullets by jumping around and running a lot. If 3-5 people come running and jumping at you, you wont stand a chance with a USP if you don't get lucky. I think glock is a really good choice in the pistol rounds although the glock is powerful only if you rush your whole team at the same place. I like both the burst and the single fire modes, sometimes I feel hot with the burst but on events and stuff I normally use sigle fire since its more accurate. There are actually 3 things you need to learn with the glock, its all quite simple but good aim its a definite requirement. First of all Long distance, here always sitdown and shoot slow towards the head and hope for a headshot that will get the enemy's crosshair up in the air, then you've got him! For middle distances try to sit down again and spamming towards the head as fast as you can and when in close combat try to jump and duck etc do make you hard to headshot and use burst fire and aim for the head, 1 good aimed burst in the head is enough to kill somebody so its really useful there. I think the glock is a rather hard weapon. I use the burst fire-mode rather then the semi-mode most of the time. If you are gonna play the burst-mode you really should try to jump AS MUCH as you can, in my opinion but there are big diffrences from player to player but one thing is really important in semi-mode, do not shot to fast because the bullets will just vanish into thin air or something really annoying.. well that's all I have to say about the mighty glock! The glock used to be really good vs a CT without armor and it still is. I like the burst in close combat but not on range. The burst has become more random since 1.6 and before the burst was so great but now it can be a bit random so I use single fire more than burst nowadays. On distance you should always try and use single fire, but I cant recommend to try and outaim a CT with a usp on range with a glock, try and find close combat action or middle range. On long range the glock is pretty useless, even a hs with glock on range doesnt take more then 30 to 50 hp. Watch this video by Edward to learn more about handling glock with english subtitles.